(October 23, 2018) As we approach our 20th anniversary online next February we’re revisiting some of our past content as it gives us the chance to draw your attention to articles you may have missed and in the hope you will find them interesting. This is the 8th in our Look Back series and like the others this brief article was originally published in Take One: Film and Television in Canada. Northernstars acquired the digital archives of Take One in 2007, two years after it had ceased publication. 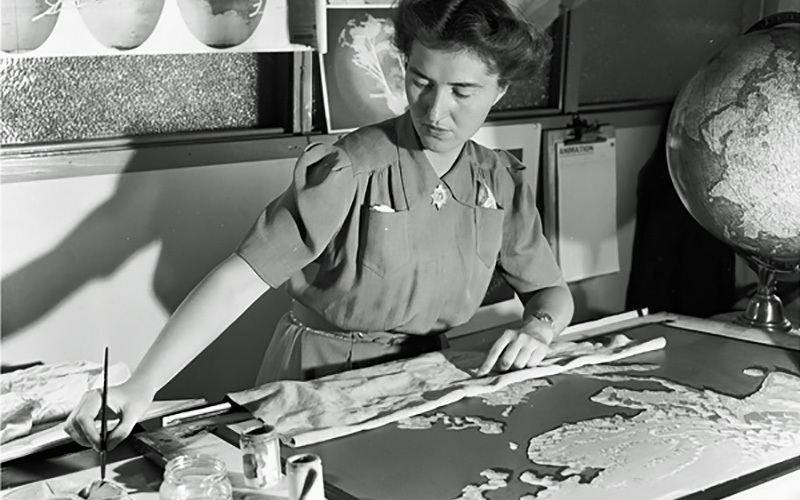 In 1942, Evelyn Lambart, who had graduated from the Ontario College of Art in 1937, became the first woman animator to join the NFB. Her task at the time was to support the work of master animator Norman McLaren. She worked with him on a dozen NFB productions, but in the early 1960s, McLaren became interested in ballet films, which held no interest for Lambart, so she started thinking about doing her own films. Lambart developed her own uniquely individual animation technique using paper cutouts transferred to a lithograph plate which she would then paint and animate. Lambart died in April of 1999, and a few months later in the Summer issue, Take One published A Tribute to Evelyn Lambart by Karen Mazurkiewich. Click here to read A Tribute to Evelyn Lambart.